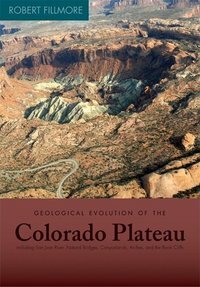 This landmark book features: More than 70 state-of-the-art paleogeographic maps of the region and of the world, developed over many years of geologic research, 100+ full-color photographs, diagrams, and illustrations, and a detailed guide of where to go to see the spectacular rocks of the region. Although most of the thousands of visitors to Mesa Verde National Park are attracted by the archaeology sites, the spectacular scenery certainly enhances the enjoyment of this area. Broken into two sections this book provides first, a road log with brief descriptions of the geology at many viewpoints. The second section contains a more detailed geologic history of the region from some two billion years ago to the present, along with the explanation of some of the basic geological processes at work. References are given throughout the road log too more detailed discussion of specific topics in the second section of the text. 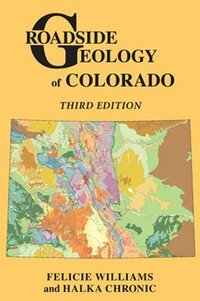 A geological map of Mesa Verde accompanies this book. Hiking the Southwest's Geology: Four Corners Region takes curious hikers on a journey through time that explores the Colorado Plateau -- an immense land of canyons, mesas, and isolated mountain ranges in the American Southwest. Divided into representative geologic provinces/areas, author Ralph Hopkins specifies distinct geologic or scenic features and provides information about what makes each province unique. He describes each hike from the perspective of the geologic evolution of the landscape while exploring basic geologic concepts and providing a framework for understanding the major forces that have shaped the land. Hopkins' stunning color photography brings the Four Corners Region to life in dazzling detail. The third edition of this popular guide is now even better it's full color. Colorado's multihued rocks from white and red sandstones to green shales and pink granites are vividly splashed across the pages in stunning color photographs. Detailed color maps and diagrams clearly distill the state's complex bedrock geology. Updated text includes information about new discoveries, such as the mastodons and other Pleistocene fossils found at Snowmass, and new parks, such as Chimney Rock National Monument. Roadside Geology of Colorado is a must-have for any Colorado rock enthusiast.